Chobham RFC tour to Fordingbridge again! 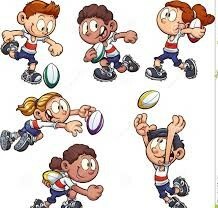 On Friday 15th March Fordingbridge RFC Minis section are hosting Chobham RFC in a Tri tournament with Ellingham & Ringwood RFC. The age groups are Under 9s boys, Under 10s boys, Under 11s boys and Under 11s girls. The clubhouse will be open and there will be a hog roast available. Feel free to come down and support our minis. This event last took place two years’ ago and it was a real success. It would be good to see it well supported again this time.